I've been working hard this afternoon, but I'm at a stopping point, I can't do anything else until Girlie wakes up from her nap. I altered a pattern I've used before (recycling is the best) and I created my own peter pan collar pattern and I'm currently working on a long sleeve template. But again, have to wait till she wakes up to go any further. Tell me, does your family get dressed up for the Holidays or do you have a PJ party? 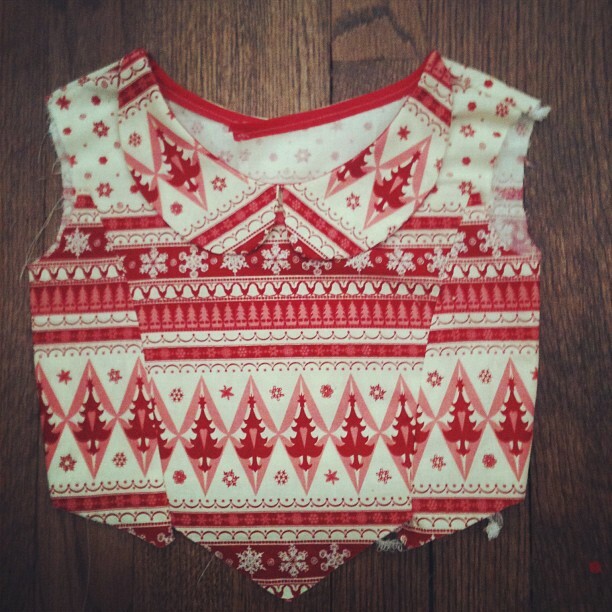 I have a tutorial in the makings for tomorrow, It's easy but it can completely change the way a garment looks! See you tomorrow!